In their first semester of Engineering at Guelph our students will begin exploring real world issues, designing solutions and systems and collaborating with their peers. Today we’re breaking down the five facts that make Engineering at Guelph so unique. Fact #1: Did we mention we have 7 different Engineering majors? We also offer an Undeclared option to allow first year students to explore all their interests before choosing a major at the start of semester 3! Each of our seven majors combine engineering principles with practical, hands-on learning opportunities. Students begin identifying and creating solutions to engineering problems right from their first semester in our design courses. Students will complete at least one major design project in each year of the program – Now there’s something to put on your resume! Success is easier to achieve when you’ve got the right support systems, and we’ve got you covered. From academic residence clusters, to Engineering Peer Helpers, and services offered in The Learning Commons and through Supported Learning Groups (SLG’s) in the Library, help is always here when you need it. The School of Engineering also has program counsellors who can help you navigate course selection, program changes, and more! Our student-centered approach will provide you with top-notch education and learning opportunities, while also creating an atmosphere of cooperation and approachability. From day one, our dedicated staff and faculty are by your side to help you feel at home. Through collaborative courses and projects, you’ll also get to know your peers and learn from each other. Every one of our Engineering majors is available in co-op. What could be better than gaining valuable paid work experience and developing great contacts before you graduate? Keep in mind that if co-op is what you want, it’s best to apply to it directly through OUAC rather than waiting until you get here. For more information on Engineering at Guelph School of Engineering website. Visit us on campus for Fall Preview Day and/or Science and Engineering Sunday to chat with students, professors and faculty about how we are working to Improve Life with Engineering solutions. In the Bachelor of Landscape Architecture, you will learn about natural and social systems and use your understanding to design attractive, functional and sustainable outdoor spaces. The U of G BLA program is fully accredited by the Canadian Society of Landscape Architects and recognized by the American Society of Landscape Architects. This means that when you graduate, you’ll hold a professional degree that meets entry requirements into professional associations for Landscape Architects across North America and abroad. Our BLA students spend a lot of time together, both in and out of the studio. You’ll feel a strong sense of community the moment you arrive! Develop lifelong friendships and network in this small, close-knit program. In third year, our BLA students are encouraged to do an international exchange at one of our 20+ partner programs. You can dive into this amazing opportunity and be inspired by landscapes and designs outside of Canada. Our BLA students have their own building complete with classrooms, studios and computers, which students can access 24/7. BLA students can also draw inspiration from around campus, particularly from our Arboretum which spans 162 hectares and includes almost every tree and shrub indigenous to southern Ontario! Gain design experience with real clients through community-based studio projects, internships and summer employment opportunities. Because of these experiences our BLA alumni have gone on to work all over the world! Visit the BLA program page for a list of projects our students have worked on. Looking for more reasons to choose BLA at U of G? Check out the School of Environmental Design and Rural Development. Head to our YouTube channel and check out our Program Profile Videos to hear from students in the BLA program! Please note that students are required to submit a Background Information Form as part of their application to the BLA program. This form will be available after December 1, 2018 and the deadline for submission is March 1, 2019. What is your favourite thing about U of G? What was your most memorable experience here? My favourite thing about U of G is the campus, there’s something about it that pulls you in and makes you feel like home. Everything is so accessible within the city and campus. Everyone is so friendly and supportive, and you will always have at least two people running to hold the door for you. You will also hear the words “thank you” about 100 times a day on campus. My most memorable experience was the pep rally in first year. It’s how I bonded with those in my residence, making lasting friendships. This led me to become a OV the following year. Please describe your campus & community involvement while at U of G (i.e. clubs, athletics, student organizations, jobs). Orientation volunteer: I wanted to express my love for U of G to incoming students and welcome them around campus to answer any questions. Multiple Intramural sports: starting in first year with the residence intramural option. Then women’s and co-ed soccer. Multi-sport: great way to bring a more relaxed approach while getting active, having fun. Work study program: Recruitment and Admission Assistant within my 3rd and 4th year. Experiential learning, and allowed me to learn more about the U of G.
What prompted you to become a Liaison Officer? What excites you the most about this position? I wanted to share my passion for the U of G and help guide prospective students decision in regards to navigating their interests and finding the school they can visualize themselves. I had such a great experience and my job in the work-study program prompted me to become an LO. I’m excited to see how I can impact a students decision, by helping them find themselves ad a program that interests them. I find excitement in sharing my stories and it will be so rewarding to know I made a positive impact on someone’s future. What advice would you offer to potential U of G students? Choose the school that is right for you! Think about the program, the people and the place you can visualize yourself at. This is all about you. Explore your options, ask questions, because you are making a decision on a place that will impact your life beyond the next 4 years. Want to learn about what she's looking forward to most on the road? Follow 'uofgadmission' on instagram and checkout our Road Warrior highlight. Students came with questions and we had the answers. We had so much fun sharing what sets Guelph apart from other universities. We gave away pens! We gave away sunglasses! And our 6 BIG winners took home brand new RED edition iPhone 8’s! Our enthusiastic tour guides and U of G Ambassadors were the life of the party and did a great job of encouraging #futuregryphons to visit Guelph. We truly believe the best way to determine if UofG is right for you, is to come check it out! Visit our events page for details on visiting us this Fall. And taught students how to find themselves at Guelph. Visit campus and pick up a viewbook of your own today! Liaison Officer John-Bosco delivered emotionally charged presentations on the daily. He spoke about his academic experience, his time playing intermural sports and how he has continued to be engaged in the U of G community. 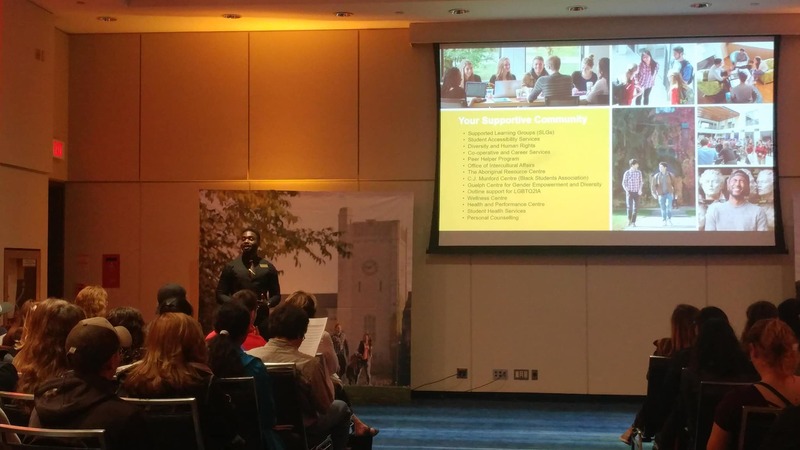 If there is one takeaway we can share from his presentation, it is that when you come to Guelph you’re not just a number – You’re a Gryphon! Be sure to follow us on SNAPCHAT, TWITTER, FACEBOOK and INSTAGRAM for continuous updates, information and a look into life as a Gryphon. What is your favorite thing about U of G? What was your most memorable experience here? The atmosphere felt around campus is definitely something I’d highlight. The campus is always buzzing with activity and offers many chance to become engaged in activities important to you. The students are passionate and a strong sense of community can be easily witnessed. U of G is definitely an energizing and dynamic place to be, which really enhances the overall experience of university. I couldn’t mention the sense of belonging felt at U of G without mentioning my intramural soccer team, “Goal-Post Malone”. What started out as a group of strangers wanting to play soccer, turned into a dedicated team that worked together…to lose every game of the season. While we weren’t very good, I always looked forward to our games. It wasn’t that I looked forward to facing yet another defeat, but rather I just enjoyed hanging out with a group of people who cheered for every shot whether it went in the net or not. The soccer field turned into a place where I could let loose and just have a great time with friends. Throughout my studies, I was involved in just about every type of student experience U of G has to offer- from student government and program student associations to intramural sports and clubs. I also had two part-time jobs, which allowed me to stay engaged with both the campus and larger Guelph community. 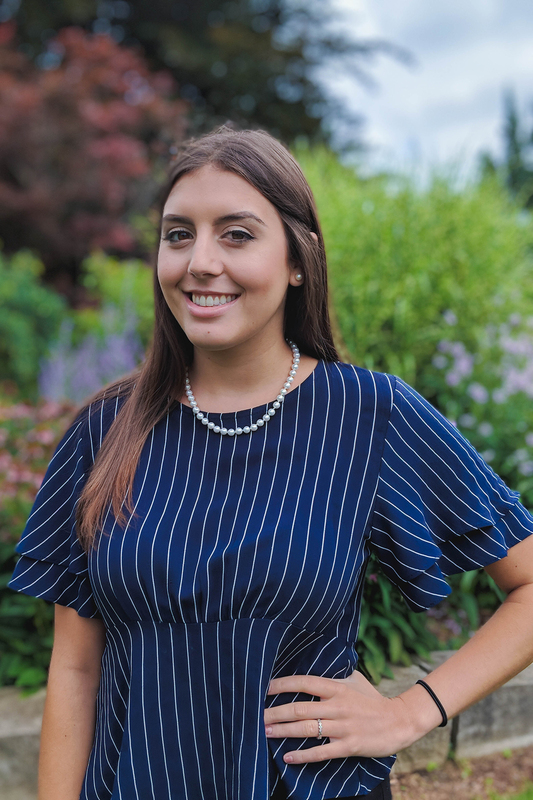 However, I would have to say my favourite experience was being a University Senator, where I was able to represent students in my program and contribute to the development of academic programs and policies. 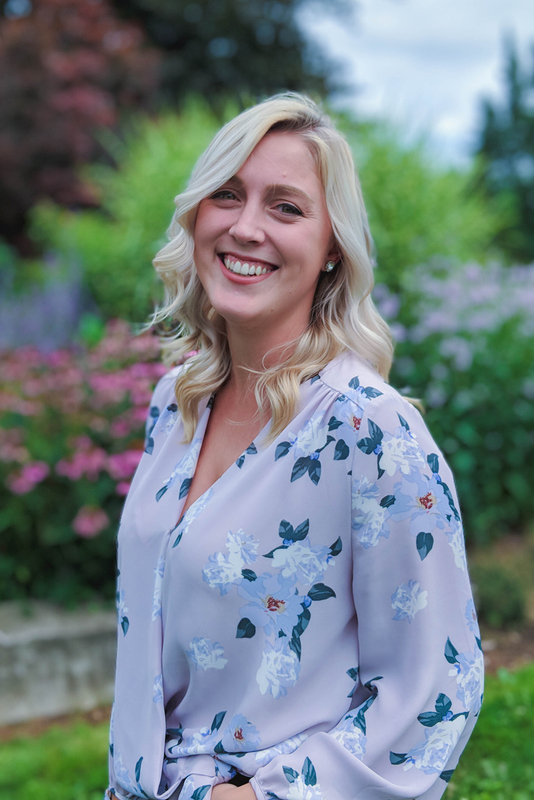 After completing two degrees and spending six years on campus, I was still not ready to leave the University of Guelph. Becoming a Liaison Officer not only meant I could continue being a part of this dynamic and supportive community, but also meant I could share it with others and help to welcome in the next generation of Gryphons! This fall, I am excited to bring the spirit and excitement of Guelph to communities across Ontario. I look forward to showing you the endless opportunities available to you during your time here and highlight how U of G makes learning accessible for everyone. Be open to new ideas and say yes to any opportunities that could teach you something new. When deciding on a University, learning what you don’t want in an institution is just as important as finding out what you do! I always recommend that students come for a campus tour. It’s a great way to help you picture yourself as a student at university and get a feel for the campus. However, if you do, I also highly recommend that you also stop by the Bullring and try their famous mac and cheese. I also want to say that there is a lot of choice available when it comes to university, but don’t be discouraged if you aren’t sure what exactly you want to do. I didn’t know what I wanted and ended up changing my program four times during my time in university before I finally found out what works for me. So while I didn’t exactly know what I wanted to study in high school, I knew I wanted to study at U of G because they offered an environment that would support me while I explored my interested and figured out my own path. Jess is really looking forward to meeting you on the road, and this weekend at the Ontario Universities' Fair! Hear it for yourself by following 'uofgadmission' on Instagram. Guelph campus is such an accepting and inclusive space and it’s because of the people! Students, staff, faculty, all the people! One of my most memorable experiences for me was being an Orientation Volunteer and doing the OV Boogie at our Pep Rally. I was surrounded by people that I loved, during my favourite week of the year, and just feeling complete and utter joy. Orientation Team Member with the Student Transition Office – worked in a team to organize the best week of the year!!! I was looking for another opportunity that combined my love for the UofG with a desire to push myself outside of my comfort zone and this seemed like a great way to do it! I’m really excited to get on the road to spread the love I have for UofG and let people know about the amazing things it has to offer. Enjoy the ride! As young adults, we’ve been in school for the majority of our lives and it can be easy to think about just getting to the finish line. But the journey is the best part! Get engaged while you’re in school, and push outside your comfort zone. Want to learn more about Emily? Follow uofgadmission on Instagram and see what she's looking forward to most on the road. My favourite thing about the UofG is the balance of academics, athletics, and student life. I was actively in involved in the Guelph community and it was the people that I met throughout these experiences that made my undergrad so memorable! One of my favourite memories form being a student is painting the cannon during the 1st year! With so many opportunities to get involved on the campus, I made sure to try a bit of everything! I was a tour guide, athlete on the novice rowing team, and a student rep for my program where I spoke to prospective students and families at Campus Day Open House Events. My favourite job on campus was running the Admission SnapChat account during my 4th year! Come and visit our beautiful campus, the vibe at the UofG isn’t something that I can describe, you have to come feel it for yourself! The best way to learn about all the opportunities at the UofG for you is to go on a campus tour and hear from a current student! When you are on campus, make sure you see the Cannon, and grab a bite to eat at Creelman Hall, my favourite dining facility! 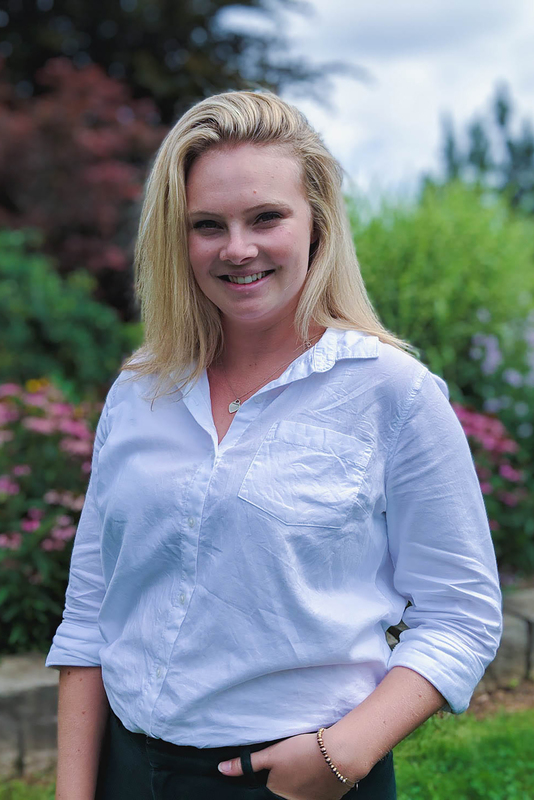 You've might have "seen" Jessie around on our social media, so to hear what she's looking forward to the most on the road, follow uofgadmission on Instagram (check out our highlights)! The Ontario Universities Fair (OUF) happens only once a year at the Metro Toronto Convention Centre. We're breaking down the 5 W's of OUF, why you should attend and how to register in advance. Friday, September 27 to Sunday, September 30 from 10 am - 5 pm daily. This is less than two weeks away friends! Metro Toronto Convention Centre (MTCC), South Building, 222 Bremner Blvd., Toronto, ON. M5V 2T6. Visit their site for details on getting there. The only event where you can visit and talk to representatives from all 21 Ontario universities in one place. Did we mention it’s also FREE to attend? 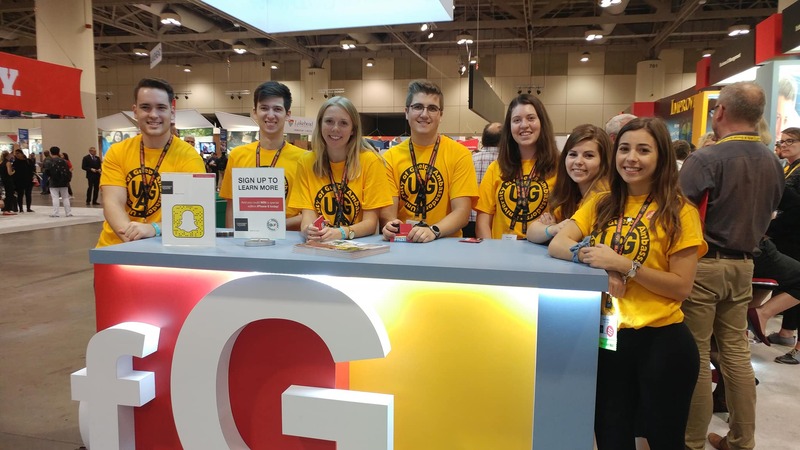 At the U of G booth, you will have access to current students, professors, academic advisors and admission reps – all excited to share their knowledge with you. Anyone interested in studying a program at an Ontario University. This includes high school students, current university and college students, out-of-province students, International students and mature students. Parents can come too! It's never too early to start planning for your future! It’s the BEST opportunity to learn about the different programs offered at each university, as well as admission requirements and student life. It’s the next-best thing to visiting the campus and getting a feel for the community. It’s a sure way to narrow down your choices of universities to visit and apply to. For information on how to register for OUF, check out our recent article. Hope to see you there #FutureGryphons! The Ontario Universities’ Fair (OUF) is the only event where you can visit ALL Ontario universities in one place. If you’re thinking about applying to university for Fall 2019, you do NOT want to miss it! Head to Ontario Universities’ Fair website, click Register for an OUF Passport then Register Here. Remember to bring your bar code with you to OUF. You can keep a photo of it on your phone or print it out old-school. You’ll scan it at university booths and in presentation rooms to receive more info about campus tours and events, scholarships, athletics and university news! 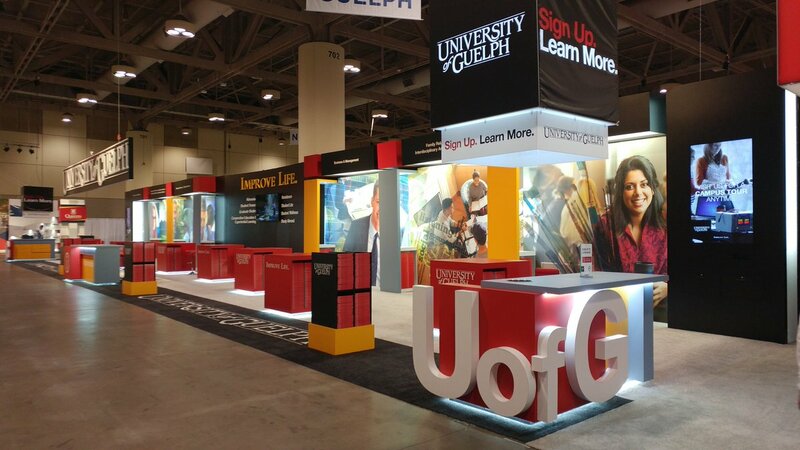 We hope to see lots of #FutureGryphon faces at OUF this year. Be sure to visit the U of G booth - we may or may not have some exciting surprises in store for you! My favourite thing about U of G is the sense of community. I always feel welcome and appreciated no matter where I am or who I am with on campus. My most memorable experience here was as an orientation facilitator in my fourth year. As part of a team we created the boogie, taught it to the volunteers, and presented it all 5000 incoming students at pep rally. While a student at U of G I was a part of the Bio-Medical Science Student Association, Learning Services Peer Helper Program, Project Serve Reading Week and a Ms Infinity Committee Member. 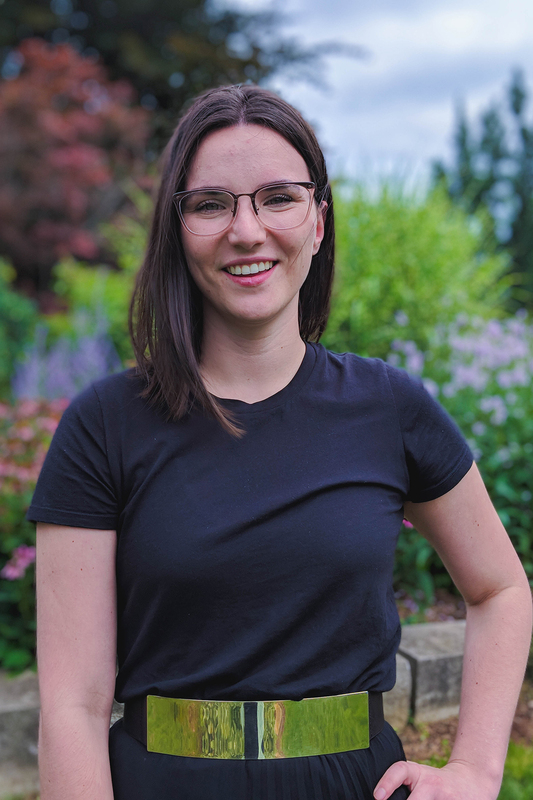 I also worked as an Orientation Facilitator, Off Campus Connection Facilitator, and Health and Performance Centre Volunteer Coordinator. 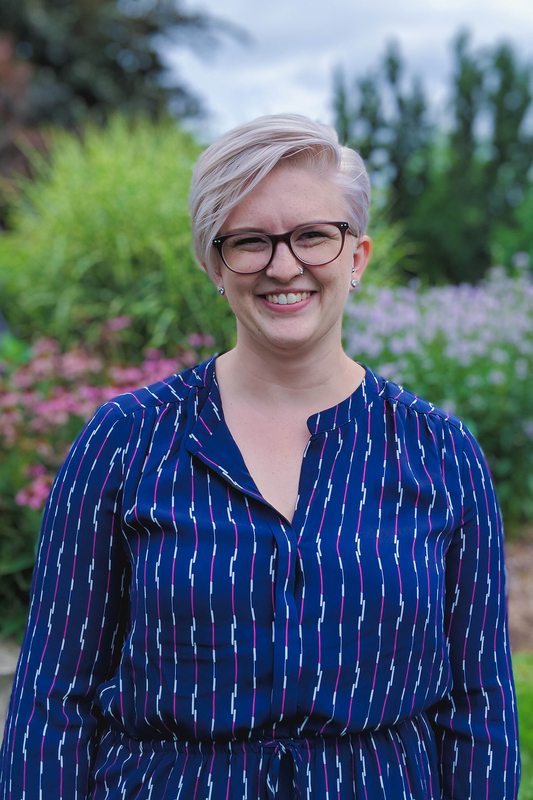 I wanted to become a Liaison Officer to share how I found myself at Guelph, as well as counsel students on finding the right program for them. My advice would be to take your time at U of G to explore the opportunities available! Get involved outside of class and find what is and isn’t for you, you’ll never know until you experience it for yourself. Take the opportunity to find yourself and enjoy your time. Campus will become your home and your friends will become your family. Want to hear what she's looking forward to most on the road? Follow uofgadmission on Instagram, and check out our story/highlights!